Main trailer added for upcoming movie “Misbehavior” starring Kim Ha-Neul, Yu In-Young & Lee Won-Geun. Movie is written and directed by Kim Tae-Young (“Set Me Free“). Story for “Misbehavior” revolves around 2 female teachers and a male high school student. Kim Ha-Neul plays Hyo-Joo. She isn’t tenured at the school, but presumes to become so in the near future. The school board chairman’s daughter played by Yu In-Young then comes to the school as a new tenured teacher. Hyo-Joo then witnesses Yu In-Young’s character in a passionate embrace with a male student played by Lee Won-Geun. 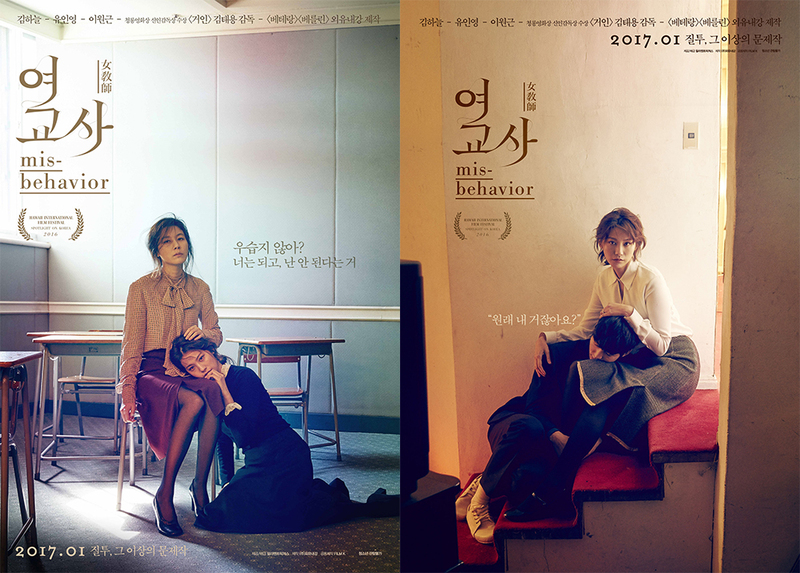 “Misbehavior” will be released sometime January, 2017 in South Korea.